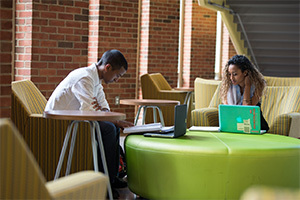 The Frederick Douglass Institute for African and African-American Studies offers a formal Graduate Certificate in African and African-American studies. The institute is committed to the interdisciplinary study of Africa and its diaspora. This program brings together historical, cultural, psychological, economic, and political approaches and perspectives to the study of people of African descent in the Atlantic world, including the United States, the Caribbean, and Latin America. This certificate can be tailored to focus on either the humanities or the social science and, once complete, becomes part of the student's record. This program is open to any student enrolled in a master's or PhD program at the University of Rochester, as well as non-matriculated students who complete four or more courses, with at least two courses being graduate-level courses. Students must successfully complete four graduate level courses in African and African-American studies (AAS). At least two must be University of Rochester courses. Successful completion of the courses is determined by the departments or programs through which the courses are offered. The portfolio is submitted to and evaluated by the graduate advisor of the Frederick Douglass Institute. Students must submit a letter of recommendation from the student's departmental advisor. Appropriate programs of study are developed in consultation with the graduate advisor. The graduate advisor mentors, or arranges mentorship for each graduate student to make sure that her/his program of study is coherent. Course offerings will vary from year to year. What follows is a list of representative courses offered over the last few years. In addition to the graduate courses listed below, students may elect to do an independent study with a faculty member in some aspect of African and African-American studies. The Frederick Douglass Institute offers grants to University of Rochester faculty and graduate students to support their research in the field of African and African-American studies (AAS).